Why do I have 5 cables (/3) feeding 2 light switches? I went to change out a light switch expecting an easy job but I found a mess of spaghetti looking and I don’t know where to start. I’ve attached pictures and am willing to answer all questions. The switches I wish to install are single pole with spots for two wires and the ground. Any help would be appreciated. Do they control a light/ceiling fan combo? The switch on the left is a normal switch and that red wire will go to the fan. That bundle is the feed to the fan/light. The switch on the right is a 3-way, the black is the switched live to the light. the other 2 wires (red and white) are the travelers to the other switch controlling the light. You can check this by using a multimeter in continuity mode and check continuity from he black bundle to the white and red of the right hand switch. One line is going to have continuity the other won't. If you flip the other switch which will have continuity will swap. 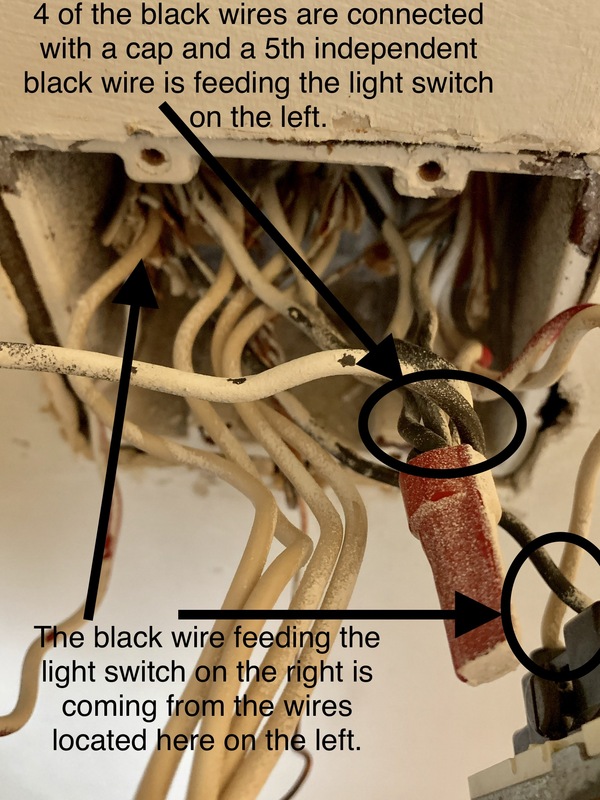 You can then also check continuity between the all the connections of that switch in both positions, which will have the same behavior. The black bundle would be the live wire. One of those will be going to the same /3 as the travelers I described above. The 3 way will need to be replaced with another 3-way, otherwise the other switch won't work anymore. A few random points .... Find which breakers give power to which wires and turn them off to remove the switches from the wires. Make sure you write down or sketch which wires are connected to which screws! Straighten out the wires once you are sure they're dead. I use a non-contact voltage tester for this. This makes your life easier and less confusing, no more spaghetti. Generally speaking, bare copper wires don't need to be connected to switches, but do for plugs. Also, you may have too many insulated conductors in that tandem (double) switch box. There is a specified maximum number of wires, switches and wire connectors allowed in any given sized electrical box. You can find box fill calculations online. Is this in a condo? It looks like it. 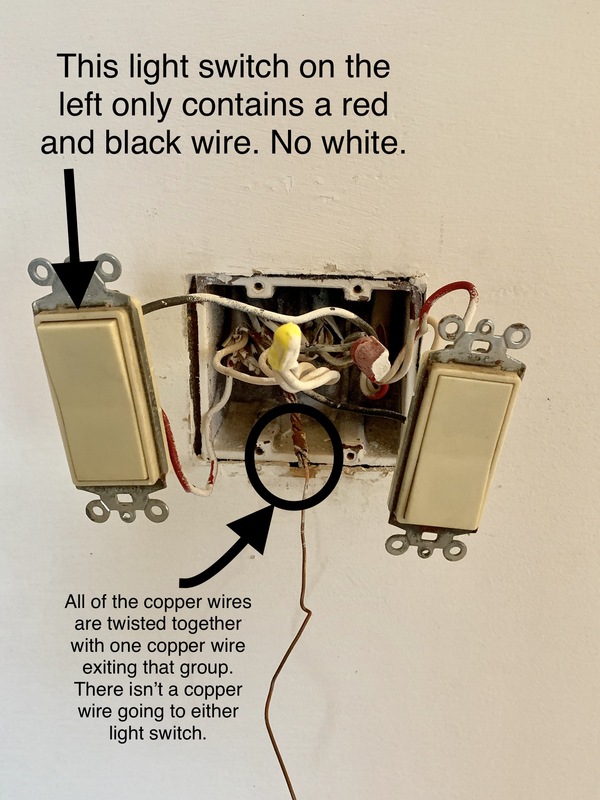 Also, white insulated wires must only be used as the Neutral, unless it is taped with black or red electrical tape at every possible opening to let others know it is HOT, and not just another Neutral. Not the answer you're looking for? Browse other questions tagged switch light or ask your own question. How should I connect my new light switches?